City of Ashes is a great read! I just can't put this book away once I started it. Simply entertaining. 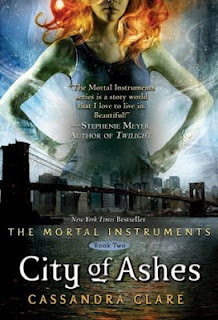 However, the only thing that made me frown was the fact that Jace and Clary are still brother and sister in this book. Hope there'll be more answers in Book 3!! Other than that, it's pretty much a good book. Now I'm intrigued by Clary's ability. Looking forward to Book 3!